Andre’s interest in movement, health and fitness began at a very early age competing at high levels in various sports as a youth. This pursuit of athletics eventually earned him two-time All Canadian, MVP and Hall of Fame honours as a student-athlete at Wilfrid Laurier University and a Grey Cup Championship and Team Captain designation as a professional football player with the Toronto Argonauts. 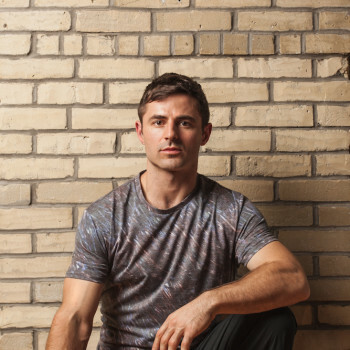 Since retiring from the rigorous and grueling nature of competition he has continued to explore and share in different disciplines of practice and movement including yoga, floreio, gymnastics, parkour, kettlebell and barbell strength training. Andre’s journey into the practice and art of yoga began over a decade ago. This journey inward eventually led Andre to the Yandara Yoga Institute in Baja Sur, Mexico where he completed his first intensive teacher training program. He is inspired by and continues to study yoga and the dharma with his teachers and mentors Poep Sa – Frank Jude Boccio (Mindulness Yoga), Laura Sygrove (Executive Director, New Leaf Yoga Foundation) and Shoken – Michael Stone (Centre of Gravity). Andre believes that yoga is about relationships and community building and strives to utilize his teachings to foster transformation, well-being and peace. Andre also teaches yoga for the New Leaf Yoga Foundation, sharing the empowering skills and practices with youth groups from some of the least-serviced and marginalized communities in the GTA. Andre is a co-founder of Spirit Loft – www.spiritloft.com, along with his partner Catalina Moraga.